Here is a neat idea for an afghan that makes use of the surface overlay feature. 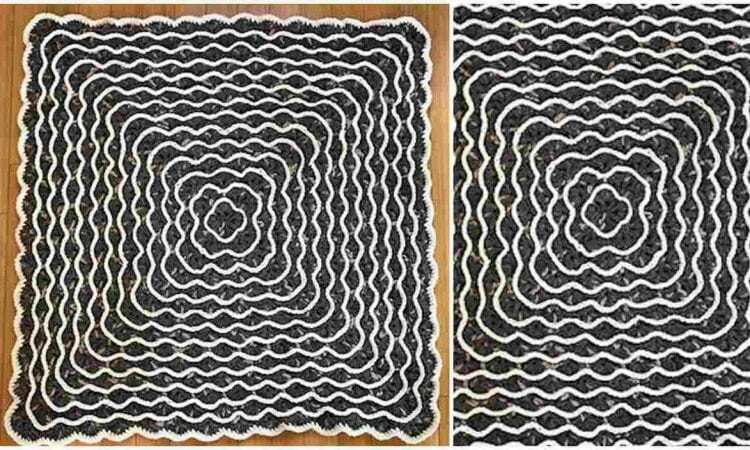 The Crochet Frosted Tips Afghan uses the overlay to highlight the structure and texture of the work, which due to the number of repeats becomes an impressive pattern of concentric squares with wavy edges. The blanket below is 48″ to a side, but, of course, the size is quite arbitrary.